There is Job Opportunity on Sahid Memorial Hospital for the post of Medical Officer and Staff Nurse. Sahid Memorial Hospital published a notice about the vacancy to fulfill this post. 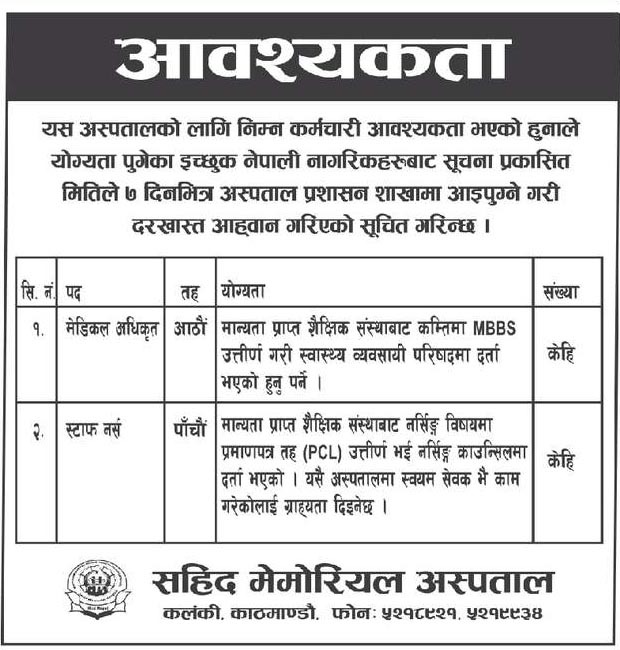 Qualified Candidates can apply within 7 days from vacancy notice published (2075/06/21). Check notice of Job Opportunity on Sahid Memorial Hospital below.